You are currently browsing the tag archive for the ‘little kittens’ tag. ‘Mickey’s Pal Pluto’ shows how important Pluto had become by 1933. It’s the first cartoon having the sympathetic mutt in its title, and it’s he, not Mickey or Minnie, who’s the real star of this short, arguably making ‘Mickey’s Pal Pluto’ Pluto’s first own cartoon. In ‘Mickey’s Pal Pluto’ Pluto saves a few little kittens from drowning. Mickey and Minnie take them home, but there Pluto grows jealous of the intruders, exemplified by a conflict between his devilish and angelic sides, who materialize outside him, and who speak in rhyme. Unfortunately, when Pluto listens to his little devil, this leads to Mickey putting him outside. 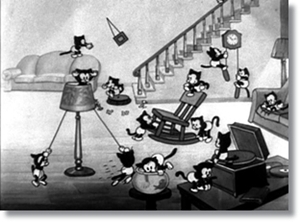 Nevertheless, when the kittens fall into a well, Pluto rescues the kittens from drowning again, almost drowning himself in the act. In the end he’s rewarded for this unselfish behavior with a roast chicken. The moral clearly is that being good will be rewarded, as Pluto’s angel character clearly states in the end. So some of the childish sentimentality that had entered the Silly Symphonies in 1933 sneaks in to the Mickey Mouse series, as well. 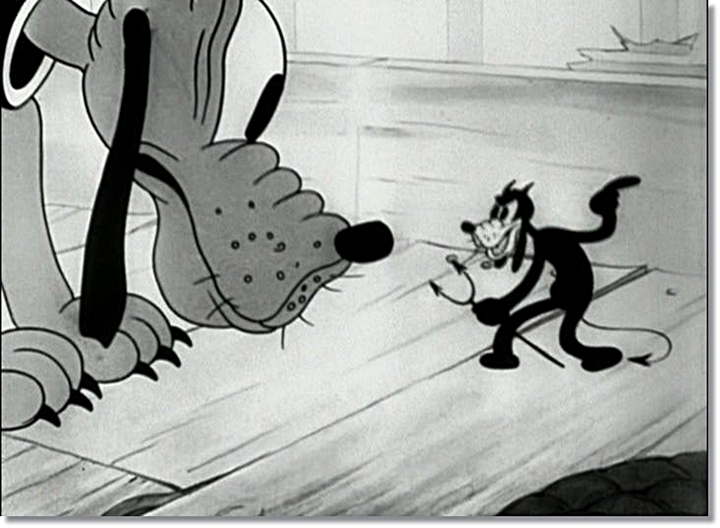 ‘Mickey’s Pal Pluto’ marks the first appearance of Pluto’s imaginary little devil and angel, symbolizing his inner conflict. This cartoon was more or less remade in color in 1941, titled ‘Lend a Paw’. 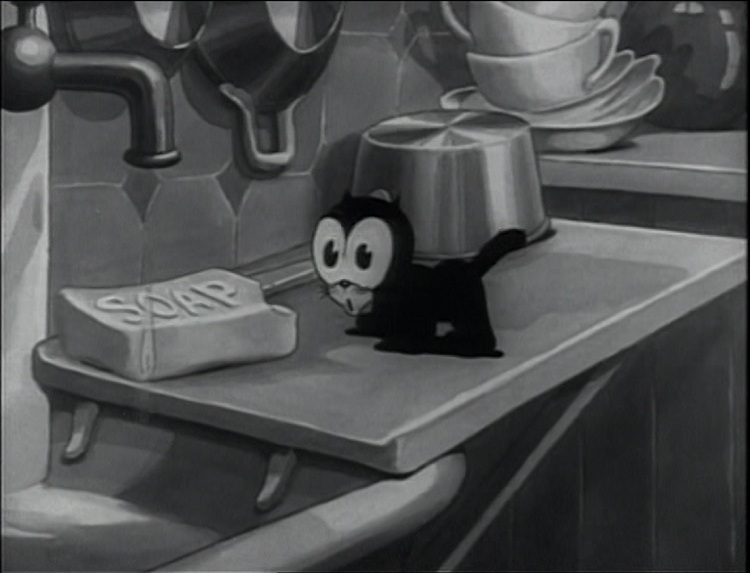 Pluto’s little devil would reappear in ‘Mickey’s Elephant‘ (1936).